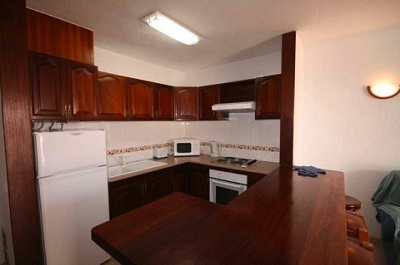 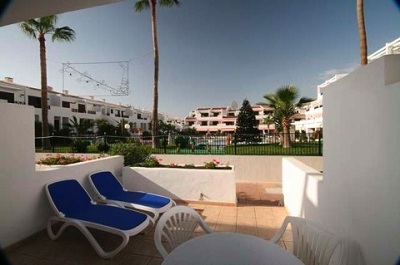 A one bedroom ground floor apartment on the Victoria Court I complex in Los Cristianos. 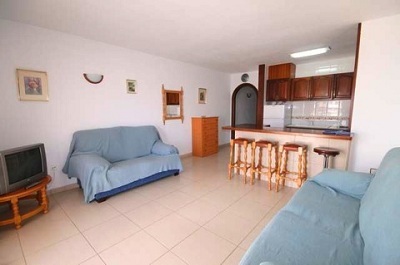 This apartment has a lovely terrace, which is equipped with sun loungers, patio table and chairs, and which enjoys views overlooking the pool. 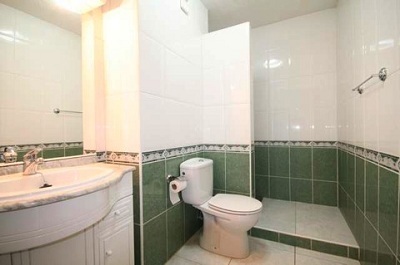 There is also a walk-in shower in the bathroom, which makes this a very popular apartment for guests with diabilities for walking difficulties.